For the last few years GeekGirlCon has participated in GiveBIG, an annual day of giving in Seattle. Hosted this year by 501 Commons, GiveBIG is a single-day online fundraiser for local non-profit organizations. Starting today, April 23rd, you can schedule your gift to GeekGirlCon before GiveBIG happens in two weeks on May 8th! 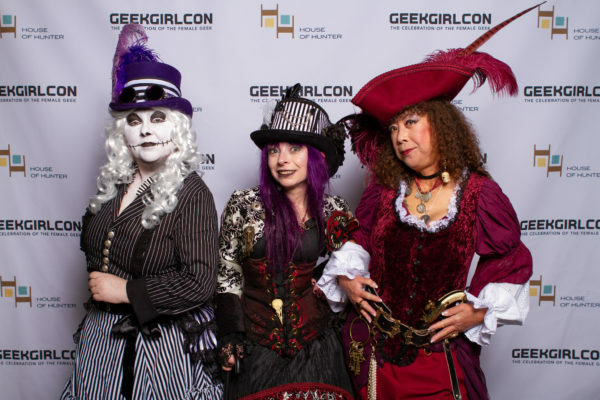 As a volunteer-run organization, everyone at GeekGirlCon is extremely passionate about our mission: to create a safe and encouraging space for all people regardless of color, sexual orientation, or gender identity. Our staff embodies this message and we strive make sure that our community is welcoming to all. Everyone at GeekGirlCon has a unique perspective, and we all support this organization because we believe that the world can do better. From STEM to gaming, the arts and popular culture, no one should go without their story being told. Whether you’re a fan, creator, scientist, or a gamer, we can all come together to celebrate our common interests while also celebrating what makes us unique. No two geeks are alike, after all. But, beyond the dedication of our staff we couldn’t host the convention each year without your support. Individual donations by our community and sponsors give us the ability to organize the best possible event that we can. Your support allows us to bring more panels, events, Featured Contributors, exhibitors, and so much more to the con each year. This November, we’ll be hosting our biggest convention to date and we simply could not do this without you. Over the next couple of weeks stay tuned as we ramp up for the big day. We want to tell you our story—and we want to hear yours, too! 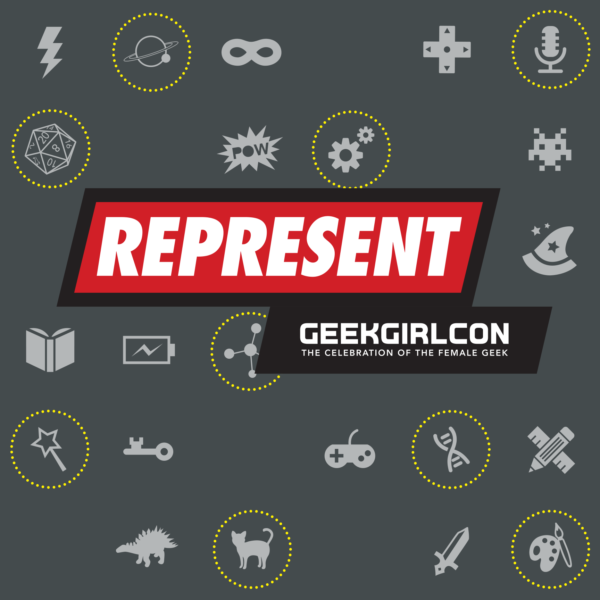 Why do you support GeekGirlCon? 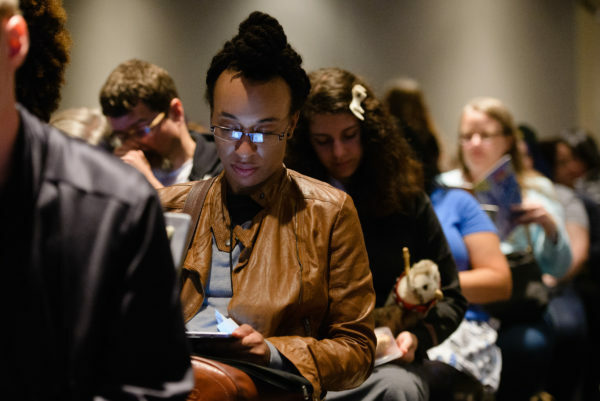 Schedule your gift today by visiting us at https://www.givebig2019.org/geekgirlcon, and join us May 8th for a day of community and giving. I’ve been a pretty avid gamer for a long time—I mean, heck, writing for games is what I chose to do with my life. However, had you told me that I was going to advocate for a dress-up game a little over a year ago, I would have laughed. Hard. But, here we are. 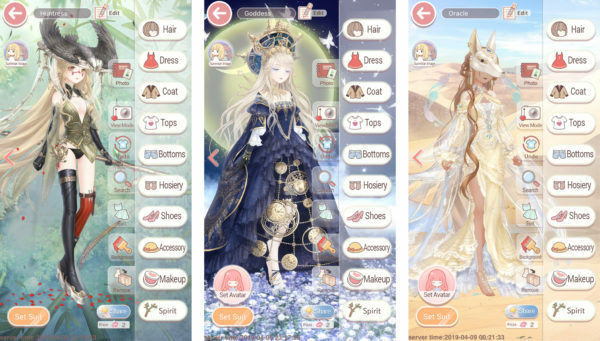 This week is my one-year anniversary playing Love Nikki, a shamelessly feminine dress-up game. You may have seen some horribly inaccurate advertisements over the last year or so posing the game as a girly, quirky dating simulator, but, I swear, don’t let those sway you. The narrative is young, but has quite a bit of depth packed into an app—there’s character death! In a FASHION GAME! I dig it. The primary mechanic and purpose of LN is to utilize your wardrobe to “battle” against other players and NPCs in styling contests. Each article of clothing or accessory has a specific attribute that gives you more points. Some of these attributes are as standard as preppy, rock, or bohemian, while other attributes are more unique, paying homage to various eras of Chinese clothing (a nod to the game’s origin). There are also Associations, which are much like guilds or clans in other popular MMOs. Association members work together to complete unique suits and other hands-on activities. Overall, it’s actually very engaging, and at minimum, it gives you a short checklist of things to do while drinking your morning coffee. It’s a great deal of fun and pleasantly progressive—but that’s not all it fulfills for me. LN goes beyond just being a fun game. I started playing LN back in April. This was a really hard period of time. I’d just started seeing the cracks in my relationship, was coping with some frustrating career progression, and was about to step into a fit of depression that would carry me well into the fall. Late one night while I was fighting off a bout of insomnia, I was watching a video by Sharla in Japan that was sponsored by the developers and showcased the game. The art was cute, and I’m pretty easy to hook with a good aesthetic, but I was in a gnarly funk, and it seemed like it would be a far better distraction than just passively watching a random video online. So I downloaded it and gave the game a go. Feeling the mid-winter blues? My fellow Seattlites are thrilled that the worst of our weather is (hopefully) behind us, but I’ve got something to warm up this chilly afternoon: did you know that the photo booth pictures from #GGC18 are up on our Flickr? Taken by photographer and GGC veteran Sayed Alamy, there’s no better time than now to find inspiration for your next cosplay or get yourself a little hyped for this upcoming November. I was feeling a little under the weather this week, but scrolling through these photos did wonders for my mood. Here are some of my favorites (with absolutely no bias towards my favorite characters, I swear!) Plus, I don’t think there’s anything cuter than a mini cosplayer. Prove me wrong. From the GeekGirlCon family to yours, we wish you a beautiful holiday season filled with family, fandom, and celebration. Sit around the fire, open some presents, and spend time with your loved ones. We’ll be back in January with a plethora of new content as we welcome the new year and prepare for GeekGirlCon 2019! See you then! We’re coming to the end of another year. For me, it was challenging. As I’m sure many of you did, I made some rough life decisions. But as I step back and reflect on 2018, I look to those who helped me get through it: my friends and my family. Because of them, I endured challenges and obstacles that I might not have been able to face alone. My close friends were there when I needed a shoulder to cry on, my mom and dad were a phone call away when I needed advice. They propped me up when I wanted to throw in the towel and stood by my side while I looked my demons in the eye. Now as I look back on the last twelve months, I feel the warmth that they shared with me. The holiday season, regardless of what you celebrate, is a time to show your loved ones that you appreciate everything that they’ve done for you. Whether big or small, a gift is a gesture. It shows them that you care: that you care about their passions and interests and that you appreciate the time and effort they’ve put forth to support you. Whether a vinyl sticker of their favorite character or a book meant to inspire them the way that they inspired you, take the time this holiday season to express your love and gratitude. You never know how much that gesture might mean to them, too. A new staple for industry professionals and gamers alike. 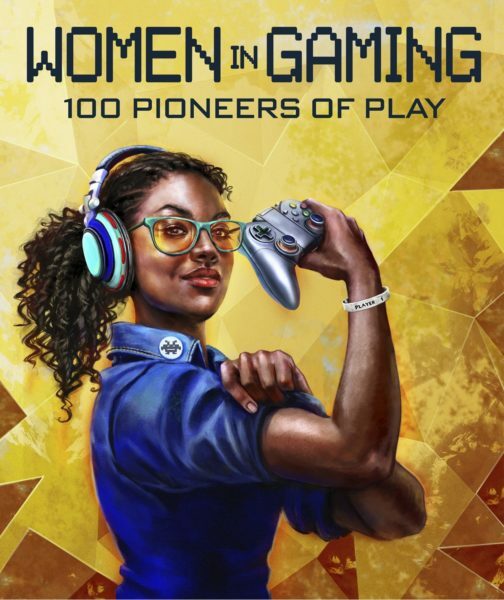 Women in Gaming: 100 Pioneers of Play features an amazing lineup of women working in the industry, including a few friends of the staff! Help inspire your geek, whether they’re interested in pursuing a career in gaming or simply interested in learning more about the development process and how these amazing women came into their careers. I hope Saturday was as fun for you as it was for us! While GeekGirlCon 2018 is officially halfway over, never fear! Sunday is filled with amazing content, so get ready for another day of exciting panels and events. 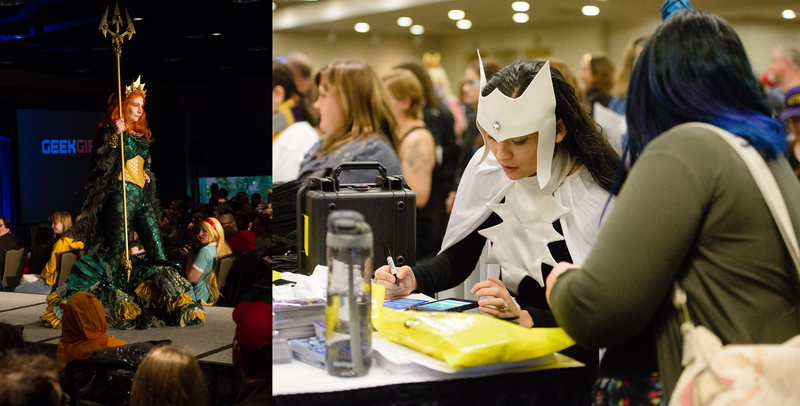 From our annual Costume Contest, to a plethora of amazing panels, workshops, and more, there’s plenty more to geek out about. Disabled cosplayers and creators discuss the representation of people with disabilities in the media and how that influences the perception of disabled people in real life. Disability is a spectrum, and this panel will have perspectives from people with invisible disabilities as well as those that can be seen, but are frequently misunderstood. Featuring Jay Justice, Diana Pho, and Emily Finke. Come to this discussion with Christina Mackin; learn about her work at LAIKA, the studio behind Oscar-nominated films Coraline, The Box Trolls, Paranorman, and Kubo and the Two Strings. You’ll hear about behind the scenes, what it’s like to be a woman in the animation industry, and the challenges of creating stop-motion films! Join us for a moderated chat with Britta Lundin, staff writer of Riverdale and author of Ship It, about writing, fandom, Riverdale, and what it’s like to be both fan and pro. Featuring Britta Lundin, CB Lee, and Lissa Reed.